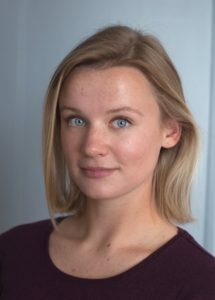 Karolina Lubecka (dual ECS & AS ’15) is a Geotechnical Engineer for Langan Engineering & Environmental Services and works in the field on the foundations of numerous skyscrapers in NYC. Karolina was a Remembrance scholar and her Capstone thesis titled, “The role of subducting plate rheology in out-rise seismicity: Implications for Japan and South American subduction systems” modeled earthquakes in high risk areas in an attempt to better prepare for the aftermath. Karolina greatly enjoyed her time in the Honors program. She liked being part of a community of critical thinkers, most of whom were outside her major. The program provided opportunities for her to interact with diverse groups of people and enabled her to deepen her appreciation of others’ opinions and viewpoints. The program also provided a great support group where “everyone truly wanted everyone to succeed”.